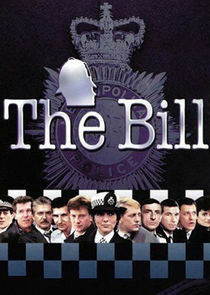 The Bill follows the officers of Sun Hill, a Metropolitan Police station located in the fictional Borough of Canley in London's East End. Created in 1983 by Geoff McQueen as a one-off drama called "Woodentop", The Bill was spun off as a full series, and ran for over 26 years and 2400 episodes. Covering both uniformed officers and CID detectives, the series is renowned for its accurate and authentic portrayal of policing in London.